During my visit to Nature Republic SM Fairview, I swatched their Lean Crack Nail in black. 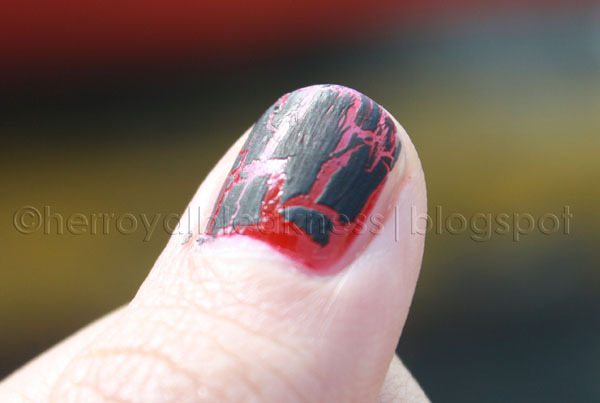 This was the first time I tried applying shatters on my nail, nahiya naman big time ang kuko ko! They have five available colors at the counter: baby pink, white, red, silver and black. I should've swatched on the white crackle against the red polish. This tandem would've been prettier, I think, versus the red+black stint. I was hoping the ingredients would've been listed to make sure that it's big-three-free. You don't want Toluene, Formaldehyde and DBP lurking on your polishes! I used the shatter very sparingly and it gave me some large cracks. Also, without the Bobbie top coat, the entire number lacked luster. Oh, and please forgive the poor way I applied the polish and shatter, lol! I've seen how the pink shatter looked like. Methinks this is how you properly apply nail stuff, lol, I feel so amateur looking at how well she painted her nails! So there's the swatch of Nature Republic's Lean Crack Nail! It's cheaper than the other popular shatters at 300 pesos (~$6)! wow Nature Republic has them na din! ang ganda! thanks for sharing! Nice noh? I was surprised they were carrying shatter na nga rin. And in different shades, too! Sana nga may gold din sila ala OPI. The quality's not bad, too. Is there a crackle polish that shatters into squarish pieces(? ), not rectangular? let's try to see if such crackle is already out in the market! most of the shatters i see are shaped in irregluar rectangles and lines. thanks! im happy you liked it. Super cute nails. yan pala isa kong kaadikan aside from MTG. Hehe. 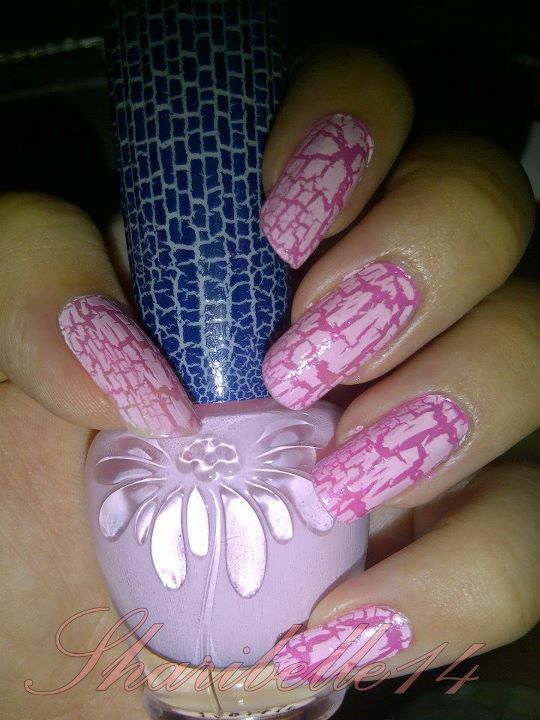 I love nail polish and nail art. hihi. i ran to Nature Republic SM Fairview because of this! this is so nice for my nails, i love it! sad, i have to stop reading blogs, my wallet is getting thinner and thinner because of your posts! 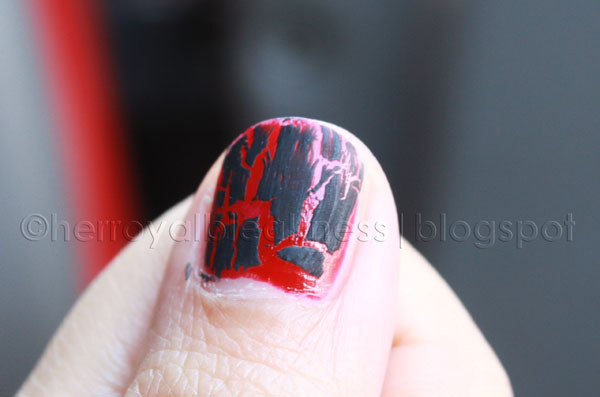 oooh kakaintriga, i wanna get all except black just because i have OPI Black Shatter na haha!